Today we're super excited to celebrate the cover reveal for Given To The Sea by Mindy McGinnis, releasing April 11, 2017 from Putman Children's!! here's a note from Mindy about the 5 things you need to know about Given To The Sea!! 1) A kernel for the idea of GIVEN TO THE SEA was planted a very long time ago when I was a child. I loved the TV movie of IVANHOE with Anthony Andrews. (https://en.wikipedia.org/wiki/Ivanhoe_(1982_film) There's an amazing scene with Sam Neill and Olivia Hussey where she's locked in a tower and he comes to see her. She thinks he's there to force himself upon her and she gets up in the window and says she'll jump if he comes a step closer. He's a decent guy who means her no harm, so he manages to talk her down but it's a very powerful scene. It stuck with me (even though I didn't understand all the implications until I was older). Elements from that scene have found their way into SEA at various levels - the girl who doesn't want to be touched, a boy in a power position who *could* take advantage if he wanted, a girl who's pride is so strong she'll die before she submits. 2) This is my first fantasy, and I went into it reminding myself that I had complete creative freedom. This is my own world in which I can do anything that I want. The life forms don't even have to be carbon based if I choose. It came time to make up some woodland creatures and for the life of me the only thing I wanted to populate the woods with was huge feral housecats. So I took all my freedom of creativity and made big tabbies. 3) Likewise, I had this idea that writing fantasy would be easy because I get to make up all the rules, no research required. Not true. In a contemporary your audience already knows, in a sense, what the setting is. If I say the main character attends a poor public school, you get the idea and I don't have to do all the world building - it's implied. In fantasy, nothing is a given, nothing is assumed. I have to do a lot of explaining... and keep that interesting. I've written post-apocalytpic, historical, contemporary, and now fantasy. Fantasy is by far the hardest. 5) The Indiri twins, Donil & Dara, are my favorite characters in the book. I know I'm showing my age here, but part of their creation comes from the dancing baby off Ally McBeal. I thought that was just about the creepiest thing I had ever seen in my life. But then I thought about a baby that could have that kind of body control, what it could learn early on about coordination and movement. That baby could become one heck of a fighter... and so a long time ago I had this idea in my head about a culture where babies are "born knowing" - able to speak, walk, process logic - all from birth. They don't have to spend the first few years of their life learning how to feed themselves, or the alphabet. They'd be way ahead of everybody else. Click here to PRE-ORDER Given To The Sea!!!!! 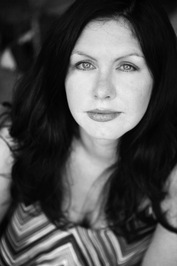 Mindy McGinnis is the Edgar-Award winning author of A MADNESS SO DISCREET, as well as the post-apocalytpic duology NOT A DROP TO DRINK & IN A HANDFUL OF DUST. Her first contemporary, THE FEMALE OF THE SPECIES will release on September of 2016, followed by her first in a fantasy series, GIVEN TO THE SEA in April of 2017. One winner will receive a signed copy of Given To The Sea (US & Canada only). Wednesday, 24 April 2019 Author Chat with Swati Teerdhala (The Tiger At Midnight), Plus Giveaway! There are fourteen distinct works listed under Mindy's name. I cannot wait for this book!!! Goodreads says 14 distinct works! I have read 3 of them & loved McGinnis' writing style! About to start Female of the Species and this book has been on my TBR since May of 2015! Very much looking forward to it! Thanks for the chance! There are 14. As I scrolled through, I realized that the delicious titles are what makes me want to read her books. What a beautifully gorgeous cover. I'm such a huge fan of Mindy McGuiness' work. I can't wait to get my paws on this one! This cover is love, politics, magic, sacrifice...WOW! 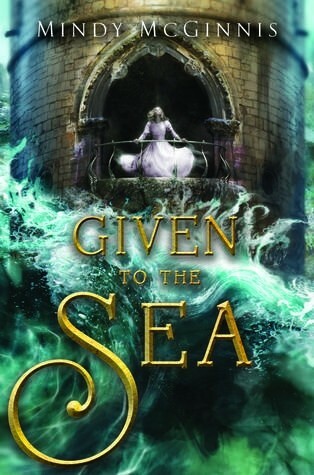 I'm sooooo looking forward to reading Given to the Sea. I'm showing my age also, but I always liked that Dancing Baby - freaky, but likable. I love Mindy McGinnis' books so much! On Goodreads, she's got 14 distinct works!